As I said in another thread, I dived down in my archives and scanned some pictures this afternoon. A Dornier 228 was the first aircraft I ever flew in... Norving Air I recall. 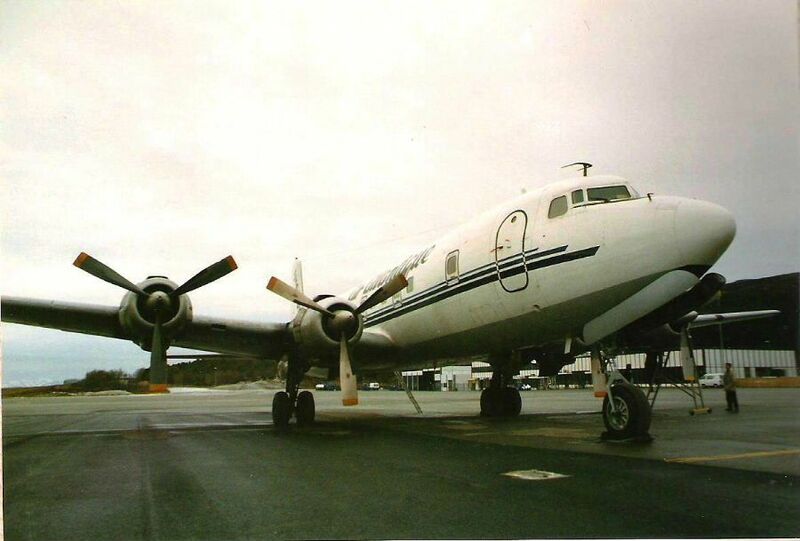 Found one more picture at the bottom of the drawer, a DC-6 reg. G-APSA of the former Air Atlantique at Kvernberget in February/March 1994. Do you know of the Nordving book project then...? The link also contains many historic and very interesting pictures. Not exactly aircrafts in the link below, but the first arrival of heavy equipment to start the lengthening of the airports runway. There will be a movement of 2,3 million m3 rock, when they turn a small hill into a base for the new part of the eastern runway. Sitting here going through my photofiles. It might be that I change my mind, but now...., looking at my old pictures, thinking about the easy handling and the comfort of my old camera, I might buy myself the upgraded and much better FinePix S1500 tomorrow. Time will show. Last edited by Sterkoder; January 17th, 2010, 19:45. I like the composition in that last image? 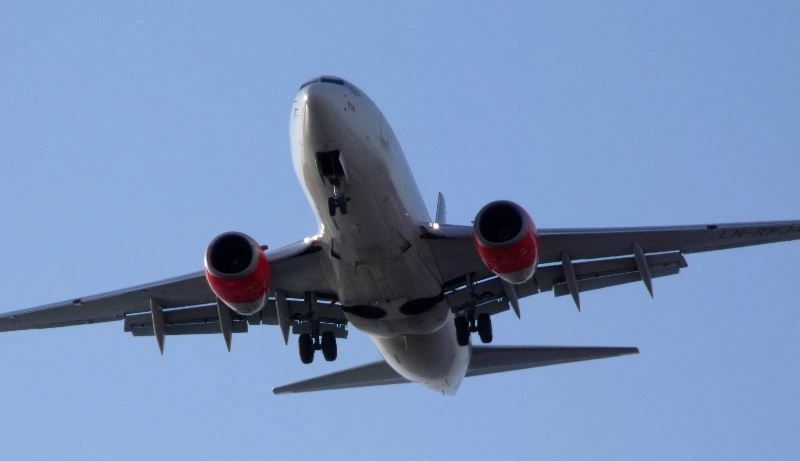 A Scandinavian Airlines Boeing 737 about to land on RW07 at Kristiansund Airport Kvernberget this Sunday afternoon. Did not have any time to set anything on my camera, so this is as 'Auto' as an image can be, hence the cut wings, as I also didn't have time to adjust the zoom. SAS will end their F-50 operations during the spring of this year, and Widerøe's will take over with Dash-8-300 and Q400 in Kristiansund, Molde, Bergen and Stavanger (Vestlink). And I wonder how many more years we will see the SAS livery on the 737s, as SAS keeps delivering red numbers. It's a cool picture. I never really noticed that landing gear doors do not close once the gear are extended. Now I'm wodering if there is a door to cover the wheels when retracted. All Boeing 737 models, from the oldest old to the newest new, have just a small "door" to cover the leg of the undercarriage. When retracted, the rubber wheel and a rimcover is perfectly lined with the hull/belly. On the image below, you can see the small "door". Last edited by Sterkoder; February 22nd, 2010, 08:46. Mental note: must return to that place to get some winter images! I do so look forward to more images from Værnes.